Lock in a great price for ANA Crowne Plaza Kanazawa - rated 8.2 by recent guests. Have stayed before and will stay again when next in Kanazawa - so convenient! Good Location ,near the train station. If going to Kanazawa again, I might choose to stay here. 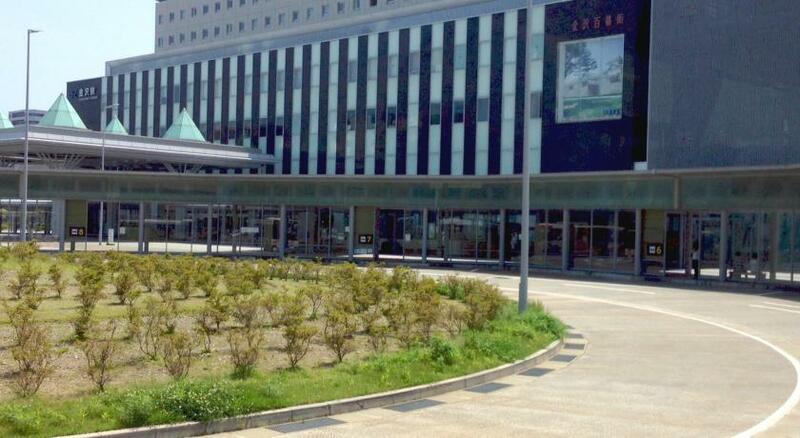 The ANA Crown Plaza in Kanazawa is located very close to the station and central to busses. We were able to tour around Kanazawa easily. We enjoyed a wonderful afternoon tea at the hotel as well. Excellent breakfast buffet. Room was generously sized, very clean, and very comfortable.. Bathroom was spotless. Great location for trains and buses. Great location - Very close to the Kanazawa Station, and walk distance to Kanazawa Castle, Kenroku-en and Haigashi Chaka District. The staff was very friendly. The room was good in size and facilities. Location to station. Breakfast was very good! Room was comfortable size. Enjoyed the hot bath facility provided on top floor. One of our top picks in Kanazawa.Located in front of JR Kanazawa Station, ANA Crowne Plaza Kanazawa offers rooms with free WiFi. It features 5 restaurants, a bar with city views and concierge services. The elegant rooms at Kanazawa Crowne Plaza are air-conditioned and fitted with a flat-screen TV with satellite channels. A fridge, free tea and coffee are provided. Free toiletries include aromatherapy oils, eye masks, and bath additives. Guests at Kanazawa ANA Crowne Plaza can enjoy a treatment at the beauty salon, or relax with a massage. Japanese restaurant Unkai overlooks the hotel’s garden. The restaurants at Crowne Plaza offer a variety of Chinese, Japanese and international food. In-room dining is available. ANA Crowne Plaza Kanazawa is just a 10-minute drive from Kanazawa Castle Park, Kenrokuen Garden and Higashi Chayamachi. Komatsu Airport is a 40-minute drive away. ANA Crowne Plaza Kanazawa has been welcoming Booking.com guests since 22 Aug 2011. When would you like to stay at ANA Crowne Plaza Kanazawa? Air-conditioned room fitted with a flat-screen TV with satellite channels. A fridge and free tea and coffee are provided. Private parking is possible on site (reservation is not needed) and costs JPY 1500 per day. Spacious and bright room, including free coffee and tea. This double room features a flat-screen TV, air conditioning and sofa. House rules ANA Crowne Plaza Kanazawa takes special requests - add in the next step! ANA Crowne Plaza Kanazawa accepts these cards and reserves the right to temporarily hold an amount prior to arrival. Property is dated. Room smells when we check in. The person who took our luggages for storage after our check out had mixed one of ours with other guest’s and created lots of inconvenience when we went to collect our bags. Very near Kanazawa Station and shopping malls. View from the room of tower block across the street. Windows running with condensation No lighting in the sitting area. Dated bathroom. Breakfast room was a madhouse, far too small for the number of people. Biggest problem was rudeness of staff. There was confusion over the breakfast prepayment. The hotel had no record of this. Several staff hounded us for it. Considering we had paid 63,000 yen for the room for 2 nights and they had our credit card details, we thought pursuing us for 1900 yen each for breakfast was heavy handed and bad customer service. The pillow in the room. They have a memory foam option, I should have taken it. The room was a good size and very clean. The staff were very friendly and eager to do their jobs. The hotel is located right next to Kanazawa station and the amenities nearby we’re fantastic. Nowhere to put second suitcase. Buffet food needs glass covers to stop people breathing and coughing over food. Didn’t like the cover charge on the drinks upstairs. Beautiful foyer. Clean room which was beautifully attended to. Lovely, helpful, friendly staff. Excellent breakfast - such a variety of food. This is really minor..... the bathroom would have been great in its day. It is beginning to show its age, even though it was spotless and in great condition. Super convenient location and central to shopping and restaurants and transport!